Be kind. You never know where someone has been, or is going. Podcaster; an insightful, creative, and motivating speaker who engages an audience through humor and relatability. Her content is suggestive of providing tangible steps in conflict resolution, health and wellness, future planning and team building! “Be kind. You may never know where someone has been, or better yet, where they are going...” is a motto that Jonelle Zachary honors and firmly believes. Jonelle's main focus in life has been rooted in the foundations of strong relationship building and academic achievement, which has served her well in both personal and professional environments. She has two bachelors degrees in Philosophy and Economics and is currently working on her MBA with a concentration in Ethical Leadership and Entrepreneurship from Xavier University. Over the last 11 years, Jonelle worked her way from retail store-management to being a senior retail executive managing and leading people, plans, and projects. Her book knowledge coupled with professional experience has equipped Jonelle to have a firm resolve for effective conflict resolution along with an innate ability to solidify interpersonal relationships: she's never met a stranger! 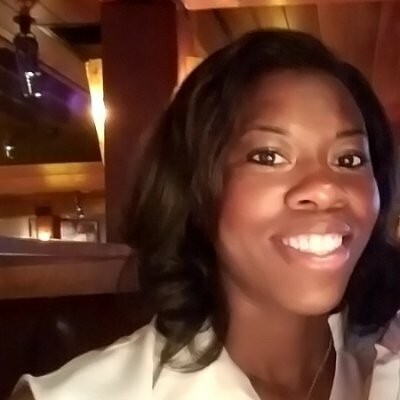 One of Jonelle's goals is to assist people personally and professionally to find a balance between their working and home lives by way of conflict resolution, health, and wellness, and maintaining healthy relationships with others, as she has a passion for helping people recognize their gifts, in their walk through life. Last year, Jonelle, launched a podcast where she is the owner and content creator of the trademarked brand. She is also currently a full-time speaker and educator for middle-school and high-school students, working through a non-profit organization. While not engaging youth at work, studying, or prepping for her podcast, you can find Jonelle spending time devoted to her family, in (and out of) the gym with her workout crew, salsa dancing, or spending time with her friends! Find out more about JZ at http://www.themidweekmuscle.com.